Three-time world champion Giles Scott won silver in the Finn class on the final day of the Trofeo Princess Sofia in Palma de Majorca. Scott, whose victory chances were hit by a mechanical failure in the second race on Friday, came fourth in the medal race to claim silver overall. Tom Squires won RS:X windsurfing gold after coming second in the final race. 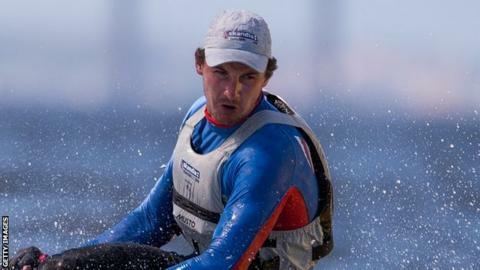 Olympic silver medallist Luke Patience finished fourth in the men's 470 with new crew Chris Gruber. Patience, who won silver at London 2012 with Stuart Bithell, needs to re-qualify for this summer's Olympic games in Rio de Janeiro after first-choice partner Elliot Willis was forced to withdraw from the squad to undergo treatment for bowel cancer. New Zealand's Josh Junior claimed Finn gold after defending champion Scott, 28, who won the opening race in Palma, fell out of contention after his rudder pinned on the first lap of the second race.